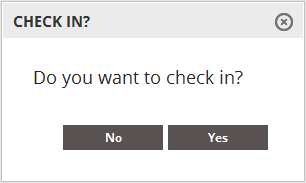 The result is a generic dialog that looks different on each browser, does not follow the site’s styling, and has “OK” and “Cancel” buttons when “Yes” and “No” buttons would make more sense. Unfortunately, all of these problems are out of our control. So what can we do? Make our own using the jQueryUI dialog control! Now we have a dialog that looks the same across all browsers, matches the site’s styling, and has intuitive “Yes” and “No” buttons.